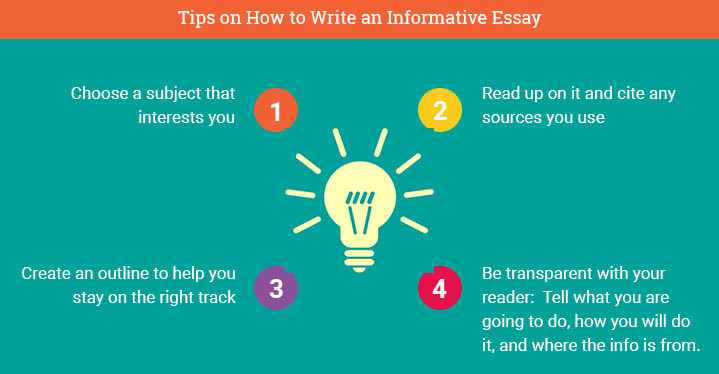 Looking for the inside scoop on how to write an informative essay? Here’s the skinny: an informative essay is just a way to help your reader better understand a particular subject. In this article, we’ll explain how to do exactly that. We’ll also provide you with links to some sample informative essay topics and outline. At the end of this article there is also an excellent informative essay example for you to see. So get ready—we’re about to reveal to you the secrets of how to write a winning informative essay! Definition / What is an Informative Essay? An informative essay is a type of essay in which your main goal is to educate your reader about a specific topic. That’s all! You don’t have to convince the reader of anything. You don’t have to sell the reader on an issue. You don’t have to argue a viewpoint or be persuasive. All you have to do is give the information. Say you’re writing an essay on the sun: all you have to do is give the facts of what it is. In one sense, it is the least demanding type of essay, because you are not required to hone your rhetorical skills. All you have to do is act as a transmitter of data. You are the medium through which the relevant information flows. Your essay is the message. Your brain is the storehouse of all the info. Yes, in some cases it is a good idea to use outside sources as well. It all depends on how much information and what kind you intend to give your reader. Just remember: whenever you do use additional sources, always be sure to properly cite them in your text and reference them at the end of the essay. So how does it work? Let’s imagine you have to write an informative essay on Batman. Okay—so what do you know about Batman? You might know that he was a character created for DC Comics by Bob Kane and Bill Finger back in 1939. You might also know that there have been various incarnations of the character in comics, TV and film over the decades, right up till now. This information can be organized in a chronological or thematic manner. Organizing your informative essay is crucial to success. The more organized and flowing the essay, the easier it will be for your reader to understand and appreciate the subject. One of the real tricks to penning a terrific informative essay is knowing your audience. Who are you writing your essay for? What do they already know about your subject? What do they still need to know? If your reader is a trained professional in the field of physics and your task is to write an informative essay on gravity, you may need to start at a higher level than you would if your audience consisted solely of 8th grade students. See the difference? Consider this example: If you’re supposed to write an informative essay on the works of Fyodor Dostoevsky for a teacher who wants to see what you know, you’re probably going to want to skip the basic introductory stuff and dive right into the meat and potatoes. Start talking about how House of the Dead emerged from Dostoevsky’s own time in a prison camp in exile. Relate the experiences he had there to his later novels—Crime and Punishment, Notes from the Underground, Demons, and Brothers Karamazov. Discuss important themes such as redemption and sacrifice and how they tie into Dostoevsky’s own personal life and sense of life. Knowing your audience is very important! Choose a topic that interests you. Pick something you either know a lot about or something that you want to learn more about. In either case, you’ll want to read up on the subject and do a bit of research just to ensure that you have solid info to pass on to your reader. You don’t have to choose anything over your head. Consider that most readers are going to be like you. They will have the same interests, the same questions, and the same sense of wonder. Play to this unversality: let your inner “you” come out and set the terms of your paper. Confer with yourself and choose a topic that means the most to you. This way, you’re interest will carry you through and that interest will be contagious and bring the reader in as well. If you still need some help sparking your creative instincts, try some of these informative essay topics to get started. An outline is the best way to help you structure your essay. It allows you to have complete control over what you’re about to do. It enables you to survey the entire field—just like a quarterback does before making the final pass with the football. Unlike a quarterback, however, you can slow it down and take as much time as you need. The outline lets you put all your thoughts together in an organized manner so that you see exactly how your essay will proceed—from point A to point B to point C. Imagine your essay being like a big puzzle: before your outline, the pieces are all jumbled together and need to be fitted one to the other; after the outline, everything is clear—the pieces have been sorted and the picture stands out perfectly, ready to be assembled. If you’re under the gun and trying to meet a deadline and would like some more tips on how to construct a great outline in no time at all, read over this short guide on making an informative essay outline in 60 seconds or less. When you go to write an informative essay, you want to be sure that you come across as an authority on the subject. After all, if you don’t know anything about the topic, why should a reader bother turning to you for information? To set the record straight, begin your essay by establishing your credentials: let the reader know what you are basing your information on. If you are writing a paper on how to operate a restaurant, let your reader know that your information comes directly from real-life owner/operators whom you interviewed. If you are writing a paper on Cold War politics, let your reader know which books or primary sources you turned to for data. This shows the reader that you are a serious source. Readers love transparency—so be transparent. But, of course, you yourself also have to be informed. Give your reader a map of what’s to come, too. 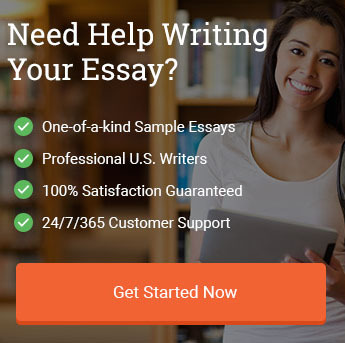 Show in your introduction exactly how your essay will proceed. You can spell it out plainly in a step-by-step formation. For example, if you are writing an informative essay on Silicon Valley, you may write: First, this essay will explain how Silicon Valley originated. Second, the essay will show what Silicon Valley is working on now. Third, it will focus on what lies ahead for Silicon Valley in the coming century. Make sure that what you cover in your map is also covered in the body paragraphs of your essay. The body essay should follow the guide that you give your reader in the introduction. It should also provide the reader with everything that is needed to have all the information on the subject. Avoid using bullet points or long block quotes. Try to integrate material into your writing by putting it in your own words. However, if you do use sources, always cite them. If you are presenting information that is not well known to the public or to the average reader, be sure to provide an in-text citation and a reference at the end of the essay. The citation and reference method you use will depend on the reference style required of the essay. You may be required to use APA, MLA or Chicago. Whichever you employ, stick with it for the duration of the essay. Be consistent! Don’t change them up from one citation to the next. Everyone likes to look at houses and imagine what their dream home would be. But have you ever wondered what it’s like to be part of the process of finding the right home? The life of a real estate agent is one that consumes a lot of time and puts a ton of demands on the agent. The agent has to be available for both buyers and sellers and always be ready to close a deal. The agent has to be able to negotiate, find out information about the home, and make sure it meets the requirements of the party being represented. It is a demanding job. This essay is based upon personal interviews with several real-life real estate agents. It will provide information on what a typical day in the life of a real estate agent is. Mornings for a real estate agent usually begin with planning for the future. Agents depend upon commissions that they make from facilitating sales. In order to facilitate sales, they have to have buyers and sellers—and in order to have them, they have to make contact with a great many people. Every day, agents must set aside time to go through their databases, make phone calls, meet with clients or potential clients face to face, and secure connections so that down the road they will have people calling on them to act as their sales representative—either in listing a home for the market or in helping to find a home to buy. Most agents designate mornings for this activity. They will block out a couple of hours first thing to go over their contact list, update it, add to it, or reconnect with old clients in order to keep their name fresh in the public sphere. Agents want their names to come up immediately in the mind of anyone thinking of buying or selling a home, so they are constantly willing to call, meet, talk and just see how you are doing every so often. This activity occupies most of the morning, and by lunch agents are ready to move on with their afternoon activities. Afternoons are commonly reserved for showings. Agents will take buyers around to different homes on the market and show them. They will also set aside a few hours on the weekends to hold open houses. Showings allow buyers the opportunity to get inside a home and have a look at it up close. They also give sellers the chance to get people into their houses—and the more people who get in, the more likely a home is to sell. Some agents will line up half a dozen showings back-to-back, so afternoons can be quite busy. Most real estate agents are looking forward to a relaxing evening by the end of the day. Evenings can go one of two ways for agents: they can be a time for winding down, or they can be a time for pitching a service. In order to obtain clients, agents sometimes have to give listing presentations. This is where an agent goes to a seller’s home and tells the seller why he or she should use the agent to get the house sold. The agent will include graphs, charts, data, and anything else that can be used to convince the client to allow the agent to represent the seller for an agreed upon commission (usually a percentage of the sale price). Successful agents love making listing presentations—but agents also love having a relaxing evening after a long day of interacting with clients. So evenings are a toss-up! In conclusion, a day in the life of a real estate agent can best be understood by talking to real life agents. This essay is based upon interviews with real estate agents working in the field and shows that their days are busy and jam-packed with tight schedules and plans for obtaining future business. There really is no time for the agent to stop, which is why real estate agents are always on the go! An informative essay is a way for you the writer to give info to your reader. The trick to writing an effective informative essay is to follow these three simple steps: 1) Know your audience. 2) Pick a great topic. 3) Create a complete outline. It is important to know your audience, because this to whom your essay will be addressed. If it is not appropriately geared towards your reader, your reader will lose interest and your essay will not be a success. In order to provide adequate information, you first have to know what your audience knows and doesn’t know. Then you can fill in the gaps. Picking a good topic is also important. You should choose something that you yourself are interested in. If you are obliged to write on a particular topic and are struggling because you don’t know much about it, you’ll have to do some research! There’s no point writing an informative essay if you yourself are not informed. Click here for some great informative essay topics. Once you’ve obtained a good deal of info and feel like an expert on the matter, you can start to craft an outline. Create an outline that gives you all the supports you’ll need to write out your essay. Start off by putting in the structure of your introduction: state your purpose and provide a map off how you will achieve that purpose. (Plug in a hook, too, while you’re at it). Then sketch out how the body of the essay will look. Give at least three paragraph outlines, each with its own main idea, supported by details and transitions. Finally, sketch out how your conclusion will come together. Click here for more tips and an explanation on how to create an informative essay outline in 60 seconds or less. You can reference sources in your outline or just pencil them in the margin so that you know, when you write your essay, where certain points came from. Be sure to properly cite and reference your sources when you do begin writing. For more information on that, try using Purdue OWL—an excellent guide for how to cite in a variety of formats. "How to Write an Informative Essay in 3 Steps w/ Example." Aceyourpaper.com. Student Network Resources Inc, 12 August. 2017. Web. 19 April 2019. Student Network Resources Inc. "How to Write an Informative Essay in 3 Steps w/ Example." Aceyourpaper.com. https://www.aceyourpaper.com/essay-writing/informative-essay/ (accessed April 19, 2019).